The special liquidators of IBRC say the move will help them to sell IBRC assets based in the US and use the money to pay creditors. THE IRISH BANK Resolution Corporation – formerly known as Anglo Irish Bank – has been granted bankruptcy protection in the United States. The special liquidators of IBRC, Kieran Wallace and Eamonn Richardson of KPMG Dublin, confirmed that a court in Delaware granted the application for bankruptcy protection today. A spokesperson for the special liquidators said the move will help them to sell IBRC assets based in the US and use the money to pay creditors. The bank filed for Chapter 15 protection in August, which is a recognition by a US court that the company’s home country should be recognised as the place where its financial troubles should be resolved, allowing it to protect itself from lawsuits in the US while insolvency proceedings are underway in Ireland. NASDAQ.com reports that Judge Christopher Sontchi who presided over the case in Delaware described the case as “truly a unique bankruptcy under Irish law”. The government voted to liquidate IBRC following a mammoth emergency session in the Dáil and Seanad in February which stretched into the early hours of the morning. 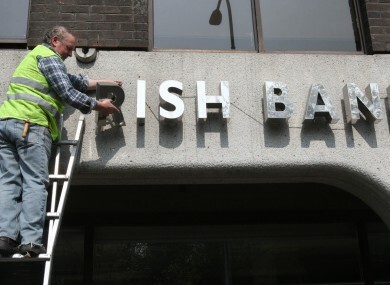 The bank had been taken over by the State in January 2009 due to the scale of its bad loans in the wake of the collapse of the property market. Some people owed money by the bank had attempted to block the granting of bankruptcy protection, arguing that IBRC was not entitled to legal protection. However this was overruled by the judge. “The special liquidators sought and have now been granted the protection of the US courts which will facilitate their work in selling IBRC assets located in that jurisdiction and applying the proceeds in favour of the creditors of IBRC,” the spokesperson for the special liquidators said in a statement this evening. Email “IBRC granted bankruptcy protection in United States”. Feedback on “IBRC granted bankruptcy protection in United States”.